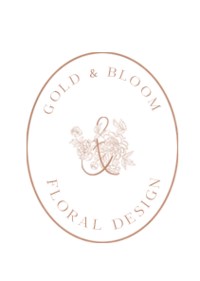 I am so glad you’ve stopped by Gold & Bloom! 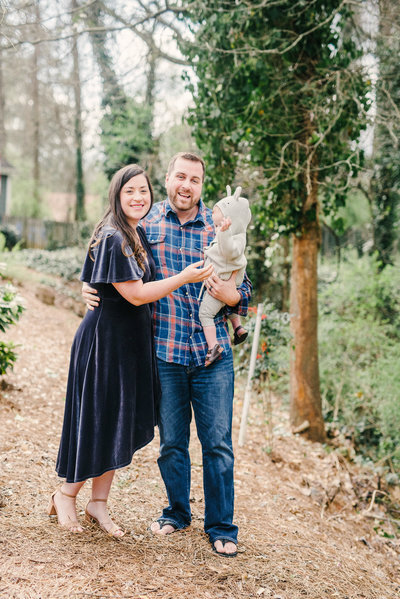 I was born and raised near Atlanta, Georgia and currently reside in Marietta, GA with my husband, Lamar, our little boy, and two kitties. I do all of the floral designs, but my husband Lamar is a huge part of this team, too. At most events, you’ll see him placing centerpieces, assisting with installations, and other behind-the-scenes fun. Weddings are our favorite, and we’d love to be a part of yours. Before I became a floral designer, I was an elementary school teacher. I went to Georgia Southern and earned my degree in Early Childhood Education. I taught elementary school for four years before starting Gold & Bloom, and shortly after that I left teaching to run the business full time. It was a big life change, and I’m incredibly thankful for it! I now get to spend my days with Cooper, meeting sweet couples, and planning the most beautiful florals. What could be better? 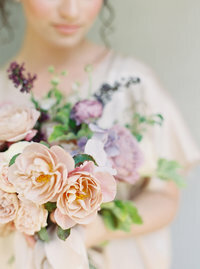 Your wedding is going to be one for the books, and it deserves to be adorned with the most beautiful flowers. 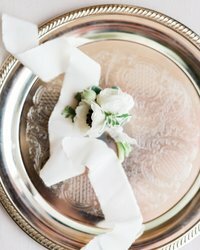 So go ahead and browse around this little website, complete the bridal inquiry form, and we can start the conversation! "WEDDINGS ARE OUR PASSION AND WHAT KEEP US INSPIRED ON A DAILY BASIS"
Seasonal workshops are offered twice per year with a maximum of 9 guests. 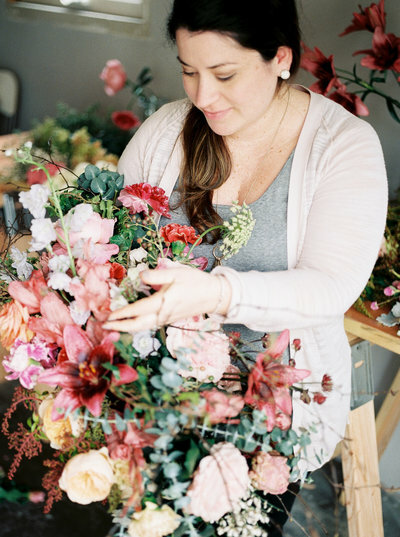 This type of workshop is perfect for anyone who enjoys flowers and would like to learn the basics of putting together an artistic bouquet. Register for the spring workshop here. Aliquam ornare odio nibh, a dignissim neque interdum eu. Aenean auctor arcu ac varius consequat. Nam in commodo justo. Sed tincidunt molestie risus vel convallis. Mauris velit mauris, suscipit in blandit vel, bibendum sed metus. Nulla sit amet tortor elit. Donec mattis laoreet risus vitae tincidunt. In sit amet molestie turpis. Donec vehicula rhoncus sapien, imperdiet egestas nisi tincidunt a. Nam nec mauris bibendum, vulputate orci in, rhoncus libero. Pellentesque habitant morbi tristique senectus et netus et malesuada fames ac turpis egestas. Ut porttitor, enim hendrerit convallis viverra, tellus nulla pharetra justo, non ultrices libero neque eget urna. Donec ac viverra sapien.